At the helm of the world’s most prestigious kosher agency, the OK Kosher Certification, one can find Rabbi Don Yoel Levy hard at work. Rabbi Levy is considered by many to be kosher’s foremost personality. 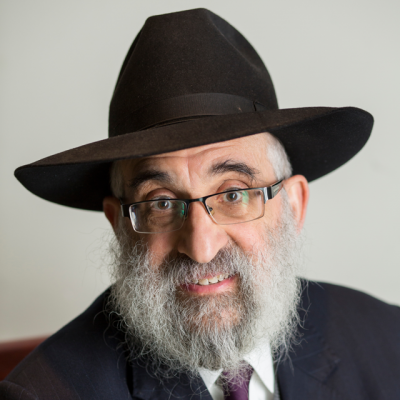 Rabbi Levy is renowned for his vast scholarship and unshakeable principles, coupled with an impassioned desire to inspire the kosher industry to strive for ever higher standards. Over time, the name “Don Yoel Levy” has become synonymous with all that is strictly kosher! Born in 1947 to Rabbi Berel and Thelma Levy, Don Yoel has been described by his mother as a “clever” child, at all times dedicated to developing his learning and enhancing his Jewishness. In his adult life, Don Yoel studied at the Philadelphia Talmudical Yeshiva and later at the Yeshiva in Kfar Chabad, Israel. At the conclusion of his formal studies, Don Yoel received rabbinic ordination from no fewer than three leading Jewish figures, among them the esteemed Rabbi Moshe Feinstein. In 1970, Don Yoel wed Malka Deutsch of Jerusalem. Determined to establish their life together on a strong spiritual footing, the young couple settled down in the Israeli community of Kiryat Malachi, where Don Yoel pursued his Jewish studies over a 7 year period. In 1977, his father, Rabbi Berel Levy, asked Don Yoel to return to the United States to assist in the running of the OK Kosher Certification. Some 10 years earlier, Rabbi Berel Levy had purchased the OK, at the time a minor kosher certifying agency, from George Goldstein. In a little over a decade, Rabbi Berel had succeeded in building the OK into a formidable force and leader on the kosher scene. To help him further develop his organization, Berel Levy turned to his talented and learned son. Following brief deliberation, Don Yoel recognized the value of the opportunity being presented to him. Regarding it as a chance to service the world community through furthering the cause of kosher, Don Yoel answered his father’s call. For a ten-year period, Don Yoel worked under the tutelage of his famous father; literally soaking in the vast quantity of knowledge and guidance Rabbi Berel Levy had to offer. In 1987, upon the untimely passing of Rabbi Berel Levy, Don Yoel assumed leadership of the OK Kosher Certification. Today, Don Yoel carries on in his father’s footsteps. Under his leadership, the OK Kosher Certification has emerged as the acknowledged trailblazer for the entire industry, establishing the standard for kosher in the United States, Europe and the Orient. A leading international authority on kosher food, Rabbi Don Yoel Levy is supported by the world’s most professional and knowledgeable team of kosher experts. Rabbi Levy has guided the agency’s development in a new era of global economic growth, advances in technology, and soaring demand for kosher food worldwide. Under the stellar leadership of Rabbi Don Yoel Levy, the future of the OK Kosher Certification could not appear brighter.